I spent two days in Machu Picchu this past May, and I have to say it surpassed all expectations. It is bigger and more spectacular than I imagined. By the time I entered the citadel on the first day it was already late morning. There were clouds, but it was mostly sunny—not my favorite lighting. Nevertheless, there were plenty of photographic opportunities. The photo above is one I especially liked from that first day. On day 2 I woke up at 5 am so I could be at the park when it opened at 6. What a difference! When I arrived at the gate, along with a hundred or so other people, it had just stopped raining. Clouds and fog surrounded the lost city. Occasionally the mountains would peek through for a moment and then disappear. When the gates opened, people headed off in all directions. 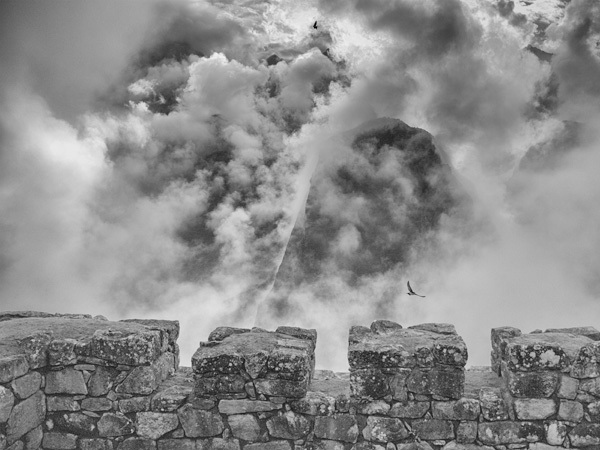 It was easy to get away and be alone to experience Machu Picchu in silence and let its spiritual presence and the fog surround me. This is what I came for, and I was not disappointed. Many of the photos I like were taken before 8 am. Here are some pictures from that day. You can see the full Machu Picchu gallery on my website.